Colorful Beads Rakhi along with Packet of Roli Chawal. 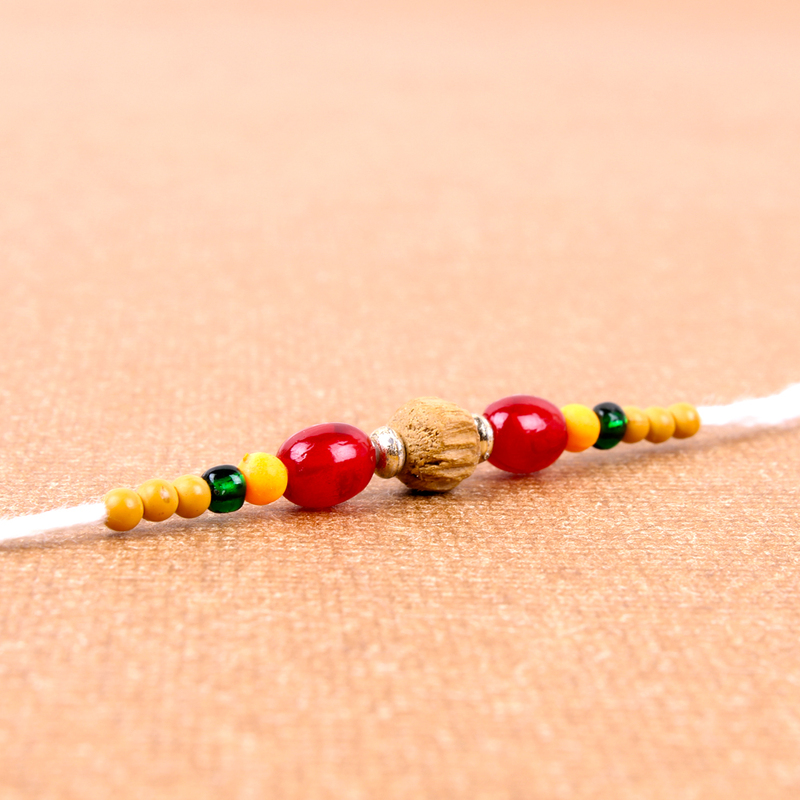 Beautiful designed Rakhi decorated with multiple colors beads that will amaze your brother and also comes with the traditional Roli Chawal for company which all sisters want to serve their siblings on this auspicious day. 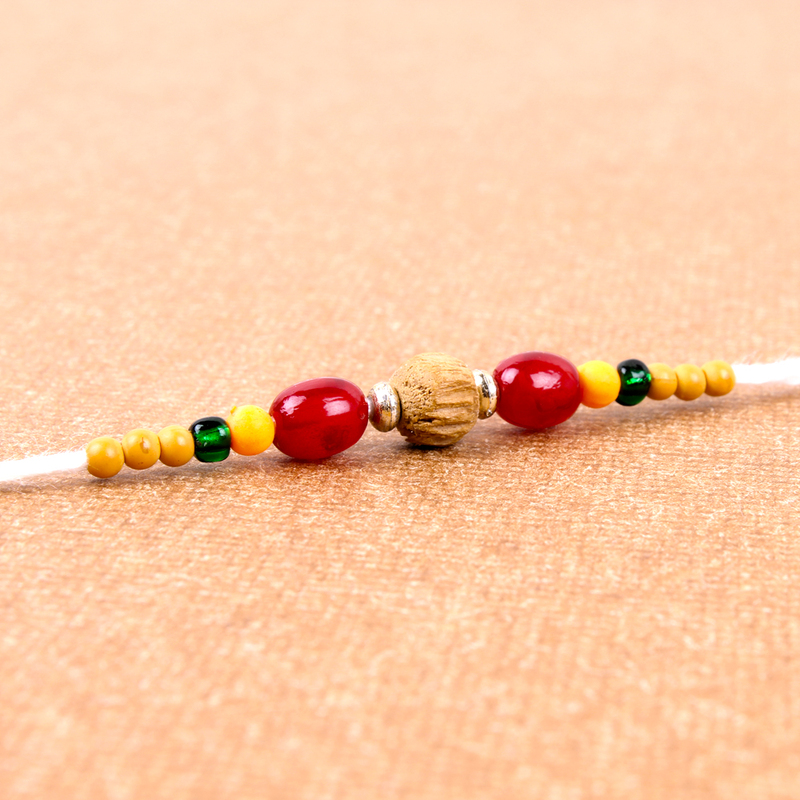 It has a very conventional look but will be an exclusive gift of Rakshabandhan for your loving brothers that are the fond of elegant rakhi threads. 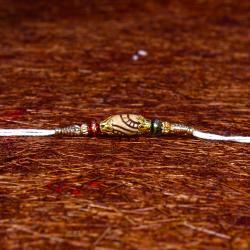 The Ceremonial Dori of the rakhi which is also adorned to have this on your brother wrist. 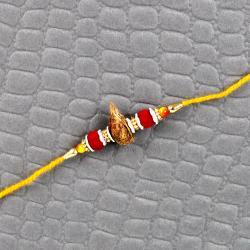 Send this rakhi to your brother and make this festival of rakhi as special as your relationship. 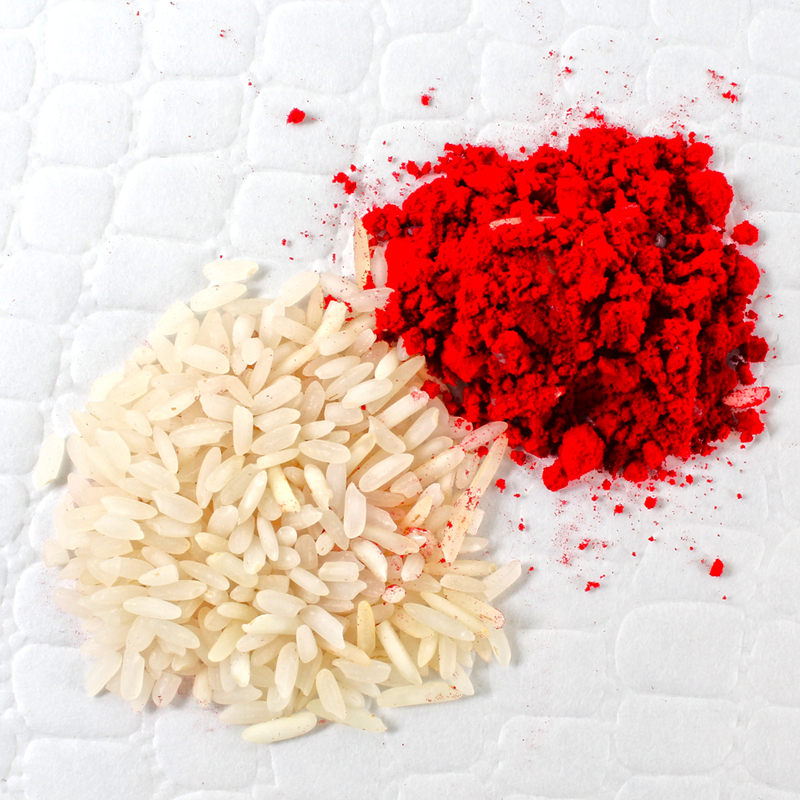 Product Includes : Colorful Beads Rakhi and Packet of Roli Chawal.